This past Friday night Faith and I headed to Toronto for a sleep study. See, we have been having issues with Faith sleeping. She will sleep on the couch fine (remember that post where we moved an easy chair into her room? 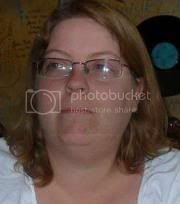 )﻿, but she wakes frequently at night and she has a very hard time winding down. 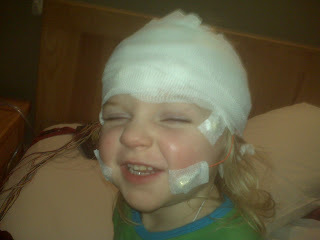 We have wondered if she was having seizures in her sleep, which is hard for us to tell. So, off we went!! Faith was hamming it up for us!! She would smile, and laugh and was just so happy...and she was getting tired!! It looked like it was going to be a breeze! This was before they attached the nose tube to her face...after the nose tube and the oxygen saturation thing on her toe...things went downhill...fast! She screamed and screamed and waved her foot in the air!! This toe thing was just too much for her to handle. So, finally the technician decided to take it off. We would try again when Faith was in a deeper sleep. ﻿Altogether she had 24 electrodes on her head, a respiratory monitor, a heart monitor, then 2 bands around her body, one for her chest and one for her abdomen. Then there were the 2 electrodes on each of her legs and the oxygen clip on her toe, plus the nose tube to monitor her breathing. 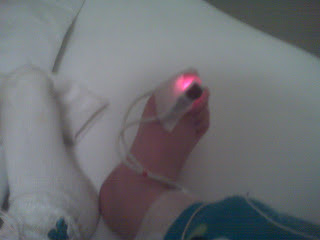 So, after they had her all hooked up, Faith promptly went into a tantrum...it was like the king of all tantrums!! She screamed like I was killing her for an hour. 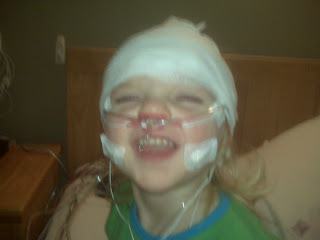 I am so happy they had video cameras in the room, so they know I wasn't actually hurting her. I felt bad for the other 2 boys and their parents in the other rooms. While she screamed and kicked and pulled wires, I hopelessly attempted to keep her arms restrained so they didn't get pulled out. 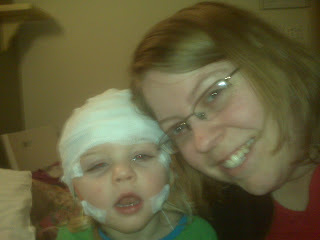 I was unsuccessful...she managed to pull one of the head electrodes, from under the hat...how? 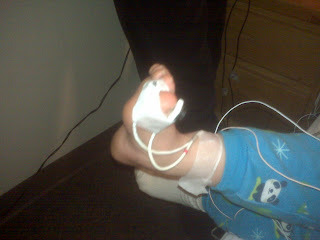 I have no idea, plus she managed to pull out the nose tubes, the oxygen toe thing, and one of her leg electrodes. Not bad, I suppose. The technician came in after Faith had fallen asleep and reattached the head one and the toe and the leg, then tried to put the nose tube back on, and it wasn't going to happen. Faith was sleeping and we just left it the way it was. I fell asleep too, then Faith was moving again, and when I opened my eyes, the technician was back -- trying to get the nose piece back on. Faith doesn't ever go into a deep sleep, I am pretty sure of that. Every time (I think there were 4 tries) that the tech tried to get it back in, Faith woke up and turned and spun and wimpered...she was eventually tangled in all the wires. They finally said forget it and left her alone. We slept. Faith moved and became more and more tangled, but she didn't try to get out of bed either. 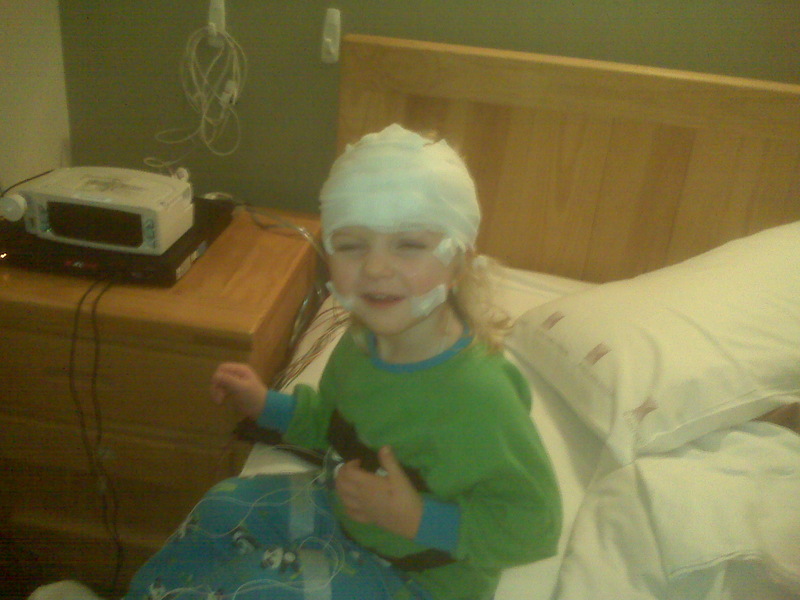 When we woke up in the morning, they came in and took off all the electrodes and Faith had wild hair!! I tried to get most of the glue out of her hair with hand soap and the sink. Then we were able to leave. Now we go back at the end of the month, for the results. Not sure what they will say, but hopefully we will get some answers.